h): Other standard & custom mounting brackets available. 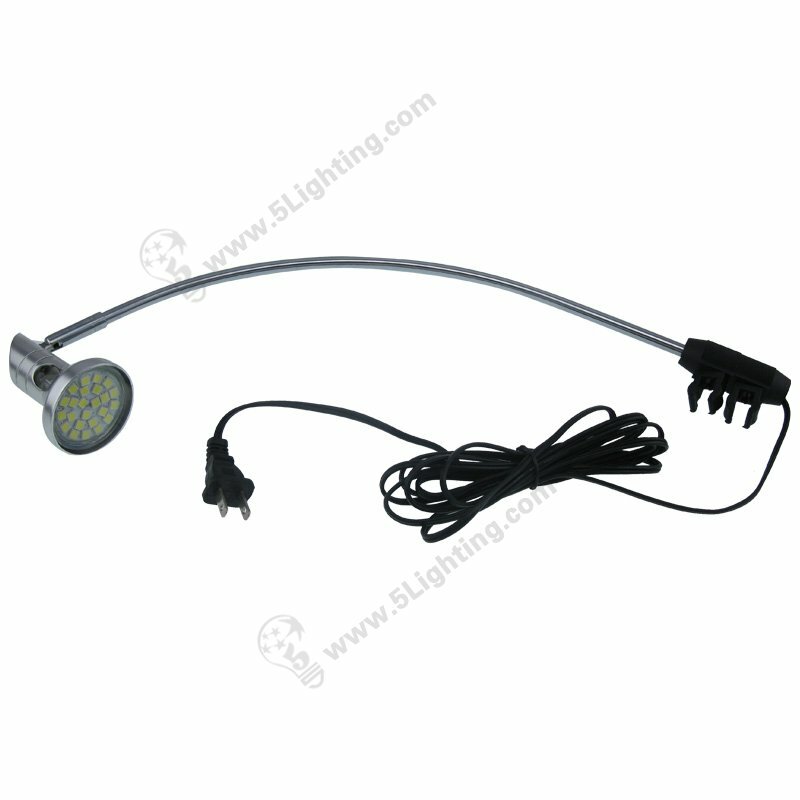 Wholesale led banner stand lights JZL020 using great quality metal material in chrome color that with clear appearance, energy saving with 5 watts power consumption, ideal choice for 35 Watts halogen lamps replacement, and it comes with a clamp can be buckled on a tube directly, has been widely used in trade show lighting and other display scenes. : Trade show lighting: Exhibition, Exhibition banner stand, Display stand, Pop-up stand, Banner stand etc. : Other scenes: College fair, Advertising area, Billboard etc. 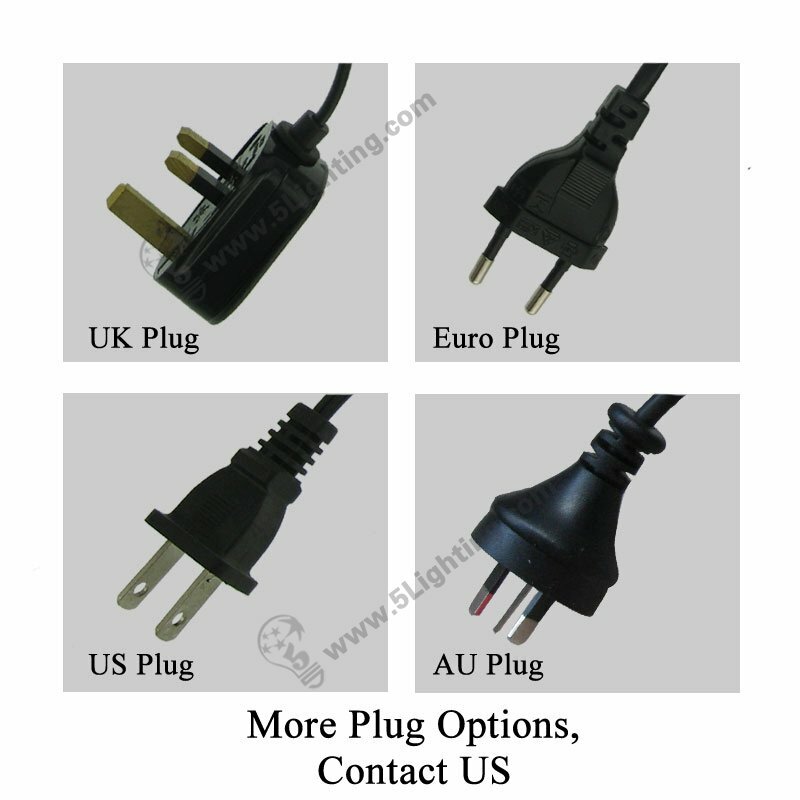 : Plug options: UK Plug / AU Plug / US Plug / Euro Plug etc. : Other accessories: Clamp / Sliders etc. 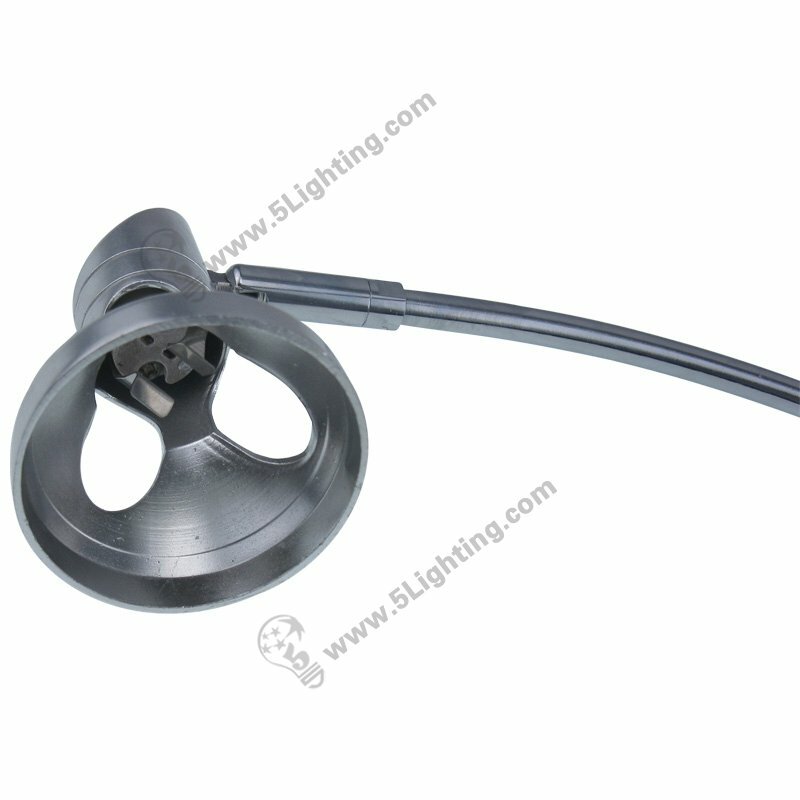 Great quality led banner stand lights JZL020 from 5 Star Lighting Factory! 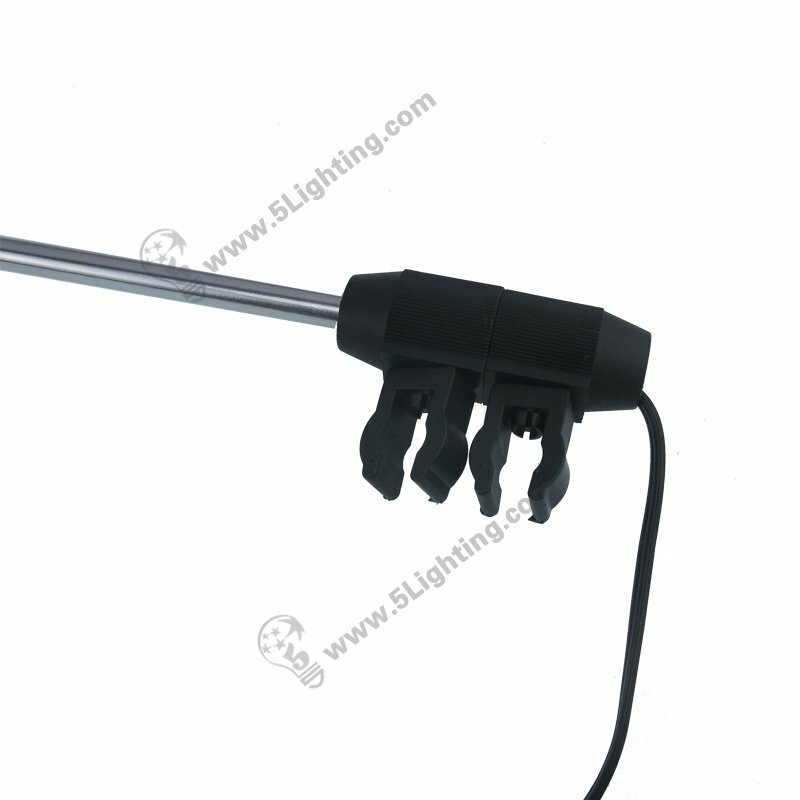 5W, 500Lm, 110v/ 220v, LED Banner Stand Lights, Replaces 35W Halogen Light, Perfect for exhibition banner stand booth. 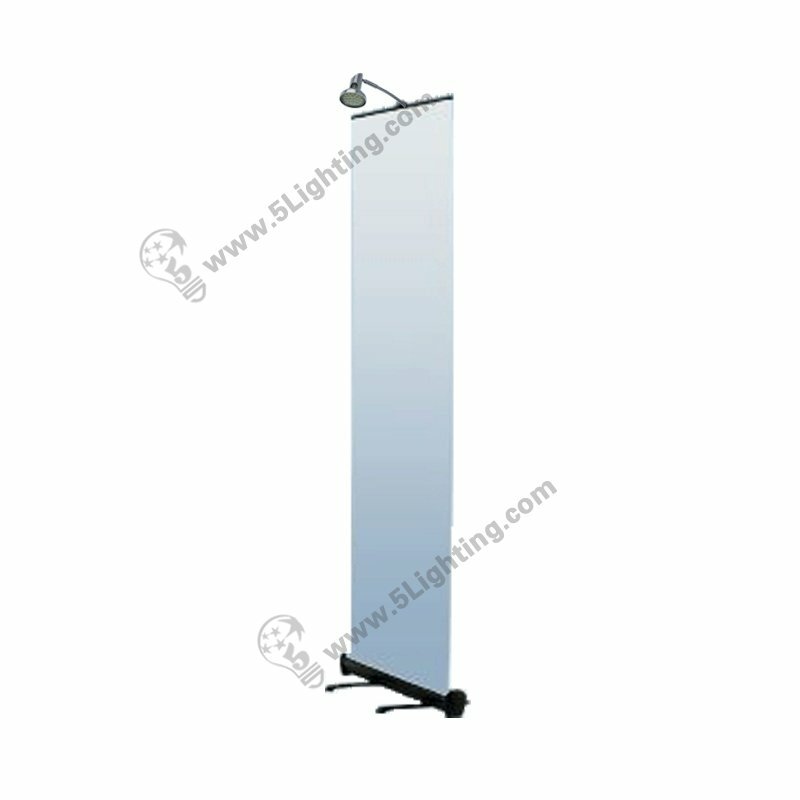 a): This LED banner stand spotlight in chrome color, with clear appearance. 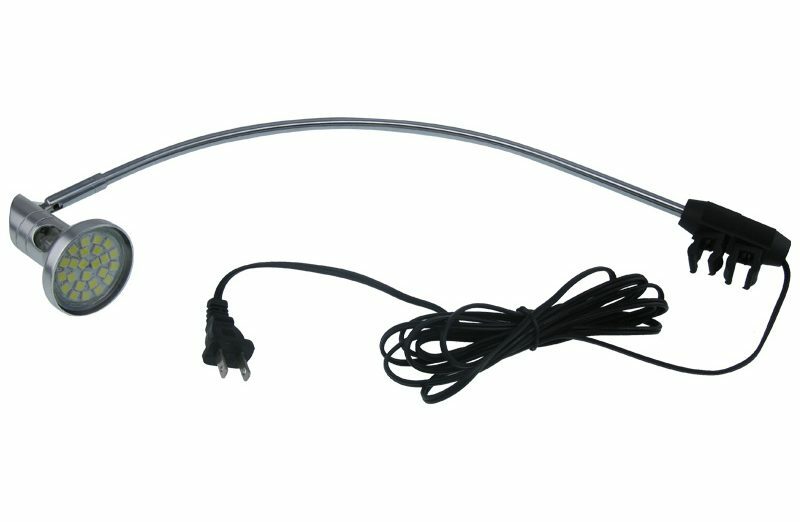 b): The adjustable lamp head allows you to easily adjust the lighting, great for trade show to highlight your banner. 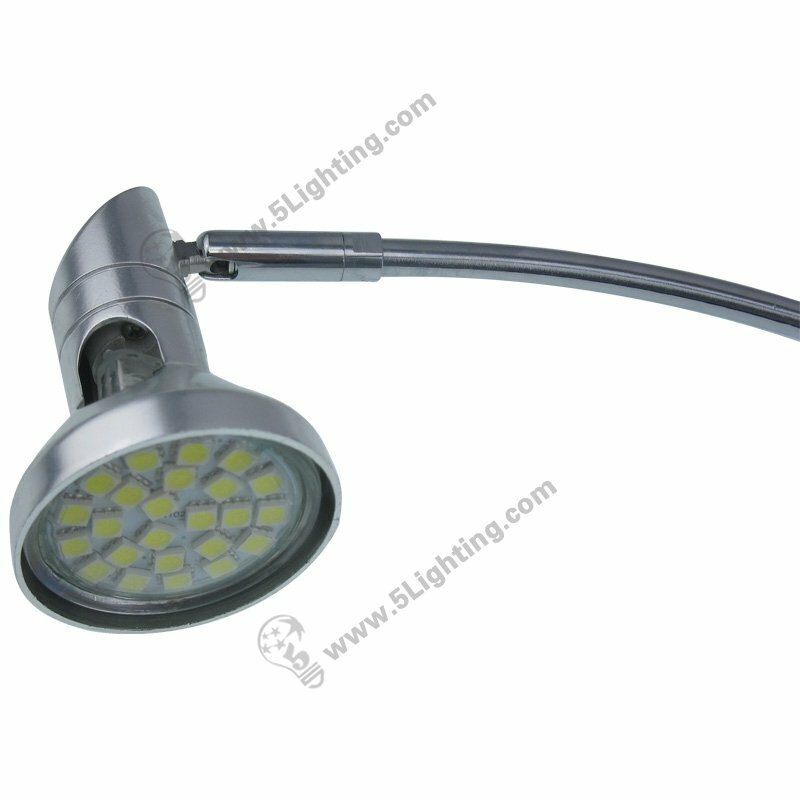 c): Energy saving will be the best choice to replace 35w halogen light. d): Its clamp can be buckled on a tube directly. e):This 5 Watts LED banner stand spotlights model JZL020 – Equals 35W Halogen Banner Stand, roll up stand or retractable banner stand Lighting. : Plug options: UK Plug / US Plug / AU Plug / Euro Plug etc.